Vinay comes with 16+ years of diverse experience across multiple industries like Automobile, Telecom, Consulting & Banking. Currently, at DBS Bank, he is spearheading the strategic agenda of driving personalisation across the Consume Banking Group. This drives DBS vision to deliver analytics based contextual interaction for every customer that focuses on Marketing, Service communication as well as improving Customer Journeys. 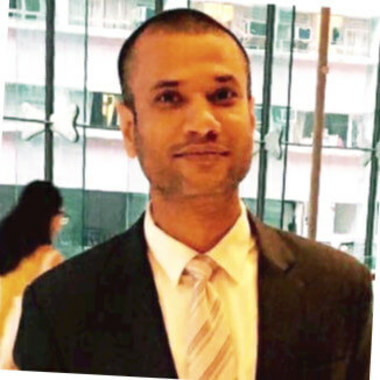 Prior to joining DBS, Vinay worked at IBM Singapore in the Strategy & Analytics team, as a strategic advisory to C-Level executives with commercial responsibilities. He has a proven track record in making analytics work for business and building analytics Centers of Excellence. The practices of connecting with customers individually and sending personalised messages to boost customer engagement have both featured prominently in the customer and brand management. However, many of these customisations still rely on information related to customers’ demographics and past behaviours. While the identification of individual differences based on consumer personality indicators has received relatively less attention in the marketing field, social science and psychology studies have highlighted the importance of personality in the context of interpersonal communication. In this presentation the speaker will explore how brands can deliver personalised communications catering to their consumers’ personalities in order to enhance customer engagement on social media. By tracking brand-initiated communication and user-level communication history on social media.